The Lauren is one of the first purpose-built rental buildings constructed in the West End in decades. Offering 186 rental units, the 22-storey building includes six ground level three bedroom townhouses and 180 one and two bedroom rental apartments above. 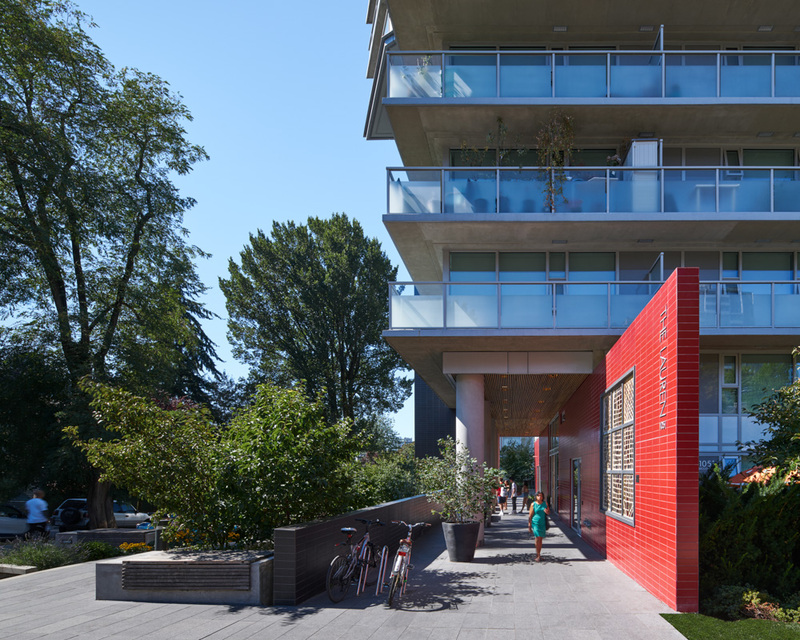 The building features an amenity room, 2.5 levels of underground parking, bicycle storage and communal patios with views of the Burrard Inlet. 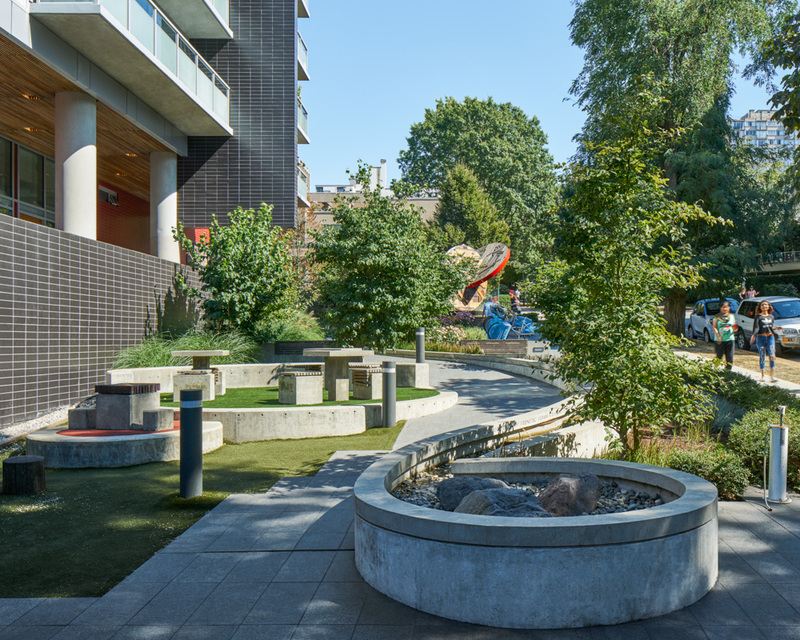 Designed to be set back from Comox street to allow for a large new open green space, the complex is also home to public art, community gardens and a children’s playground for public use.